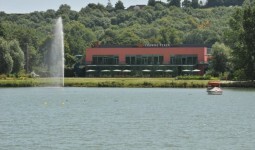 The hotel is located 2 miles from the M40 and with easy access to M25, M1 and M4. It is a perfect central venue for weddings with beautiful landscaped gardens, stunning conservatory bar. 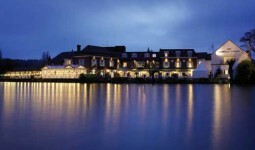 Originally built in 1688, the hotel has come a long way from its roots as a coaching tavern. On the old main road from London to Oxford The Bull Hotel has a long history of tales of highwaymen of Jack Shrimpton. While the interior has changed greatly over the years and the facilities have been upgraded, the décor remains sympathetic to the original building. There is also a real commitment to the traditional values of excellent service and very warm welcome. The hotel has 3 main function rooms for weddings and these are The Thames, The Cavendish and the most popular is The Bulstrode. We have supplied numerous wedding disco’s and wedding DJ’s at The Bull Hotel over the years. We have various pictures taken at events here and you can see some of those on display here.